The search will focus on an area of ​​four square nautical miles. The British Government agreed to Argentina’s request to extend the search for the plane. After ten days of searching, the Bureau of Research and Analysis for Civil Aviation Safety of France (BEA) found “probable” seats for the aircraft that was transporting Emiliano Sala from Nantes-Atlantique Airport to Cardiff. On the shores of Beach Surtainville in the Cotentin Peninsula, located in northern France in the Normandy region, the two seats that belong to found Piper PA-46 (N264DB patent)who piloted the British Dave Ibbotson. 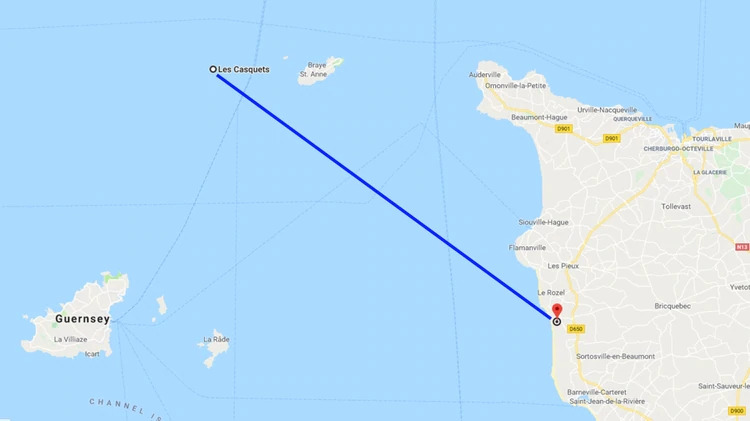 The plane had its last contact on Monday, January 21 at around 8:30 pm (GMT) near the Casquets lighthouse, located about 50 kilometers from the place where the remains were found. According to the British Air Accident Investigation Branch (AAIB), the search will now focus on a priority search radius of four square nautical miles . It will include the bottom of the sea. “We have identified a priority search area of ​​four square nautical miles, and we hired a specialized search engine to conduct underwater research of the seabed, ” an AAIB spokesperson said at a press conference. Due to weather and sea conditions, it is believed that the underwater search will begin only over the weekend and will require approximately three days . A sonar device will be used to locate the remains at the bottom of the sea. Through the maritime and rescue operations team of the Ministry of Defense, a special inspection vessel has been commissioned to search for the remains. This work will be carried out in conjunction with the company Blue Water Recoveries, hired by the family of Emiliano Sala. “The search for the plane carrying Emiliano will be carried out in close coordination with the AAIB, the two vessels will work together to search in the designated area safely, completely and efficiently, ” said David Mearns , the principal search officer private . Mearns is an Anglo-American wreck hunter and marine scientist with more than two decades of experience in this kind of research. For its part, the British Government agreed to Argentina’s request to extend the search for the plane in which the Argentine footballer Emiliano Sala and the driver David Ibbotson were traveling. According to the British Chancellor Jeremy Hunt, the AAIB (Air Accidents Investigation Branch), the independent body in charge of the investigation, will be in charge of the underwater search that will begin as soon as the weather conditions permit. On Thursday, January 24, after “more than 80 hours of flight”, the authorities in charge of the official raking announced that they had terminated the “active search” of the aircraft. Before this news, the football player’s relatives decided to go to a private organization to continue with the search.